Gallup is a city in McKinley County, New Mexico, United States, with a population of 21,678 as of the 2010 census. You'll find plenty of places to visit near Gallup: Ice Cave & Bandera Volcano (in Grants), El Morro National Monument (in Ramah) and Monument Valley Navajo Tribal Park (in Window Rock). 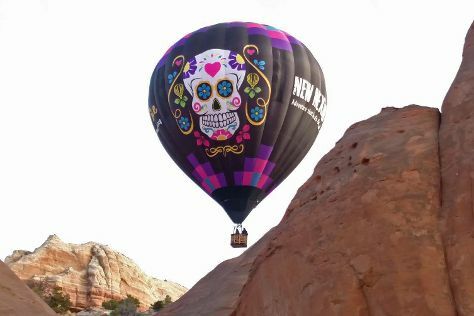 There's much more to do: take in the dramatic natural features at Spider Rock, enjoy unforgettable views with X-Treme-Lee Fun Balloon Adventures, steep yourself in history at Hubbell Trading Post, and stop by Richardsons Trading Company. For photos, more things to do, where to stay, and other tourist information, read our Gallup route builder . In August in Gallup, expect temperatures between 84°F during the day and 53°F at night. Wrap up your sightseeing on the 11th (Sat) early enough to travel back home.